Recommended for High fouling areas for all types of boats. 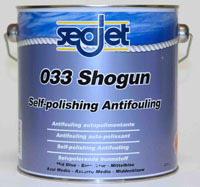 Main benefits A high quality, self polishing, antifoul paint with excellent all round performance (test winning heritage). Two coats will last two seasons. Easy to apply.